When it comes to diet and nutrition information, there is no shortage of fake news. In fact, there is so much bad advice out there it can sometimes seem overwhelming. Most of the misinformation I have come across over the last year can be found on websites that are designed to promote a particular product or fad diet. But a lot of it is also being spread by word of mouth. Much of this flawed information is completely false, such as the suggestion that eating eggs will increase your risk of heart attack. But other claims - such as the assertion that cleanses and detoxification diets can enhance your health - can be downright dangerous. So, in order to help readers sort fact from fiction, I've pulled together a sampling of some of the worst nutrition advice I have come across over the last year. 1) Juice your fruits and vegetables: The suggestion here is that juiced fruits and vegetables are easier to digest and will release their nutrients more evenly than their whole-food counterparts. But the fact is blending or juicing does not make the fruit or vegetable easier to digest, nor does it create an even release of nutrients into the bloodstream. Both methods simply change the food from solid to liquid. Blending uses a powerful appliance to smooth out the food so that none of the healthy fibre content is lost. Some juicers separate the fibre from the food and then discard it. Meanwhile, there are a couple of concerns with juicing and blending. For example, the ease of sipping food through a straw as opposed to chewing it may lead to overconsumption. This translates to extra calories that can lead to weight gain. Remember, drinking a ½ cup (125 ml) of juice or blended fruit is the same as eating three or four servings of the whole food. The other issue is a food safety concern. 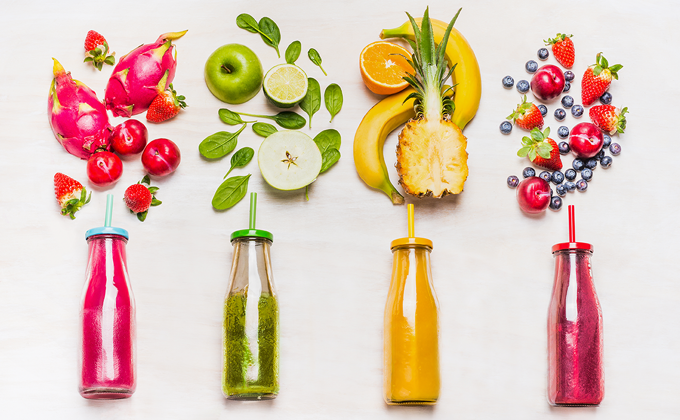 If you do try juicing or blending fruits and vegetables, make only as much as you can drink at one time because leftovers can quickly develop harmful bacteria. Bottom line: If you need to get more fruit and vegetables in your diet, it would be better to eat more of them in their whole form. You'll feel more satisfied and end up consuming fewer calories because whole foods take longer to eat than liquids. Make veggies the main part of every meal and eat fruit for snacks. You won't have any trouble meeting your recommended requirement of eight to 10 servings per day. 2) Get a cleanse or de-tox treatment: Cleanses and detoxification treatments are supposed to provide us with increased energy and easy weight loss. But do they? It has been suggested that cleansing and detox diets will remove specific foods to help get rid of toxins that build up in the body from pollution and diet. Of course, there is no scientific evidence to support that detox or cleansing diets remove toxins or leave us feeling better. Besides, our bodies are very well-designed to self-cleanse. That is why we have a liver, kidneys, lungs and intestines. These organs do an excellent job of removing harmful waste from our systems. Specific detox or cleansing diets vary, but typically there is a period of fasting followed by a restrictive diet eliminating many foods. Cleansing diets often recommend colon cleansing, which can result in dehydration, nausea, and vomiting. Some of the diets advise using herbs and other supplements that have not been proven safe and may be costly. It is also important to consider possible side-effects such as fatigue or possible vitamin and mineral deficiencies. Bottom line: Detox and cleansing diets can be very restrictive, often eliminating entire food groups. 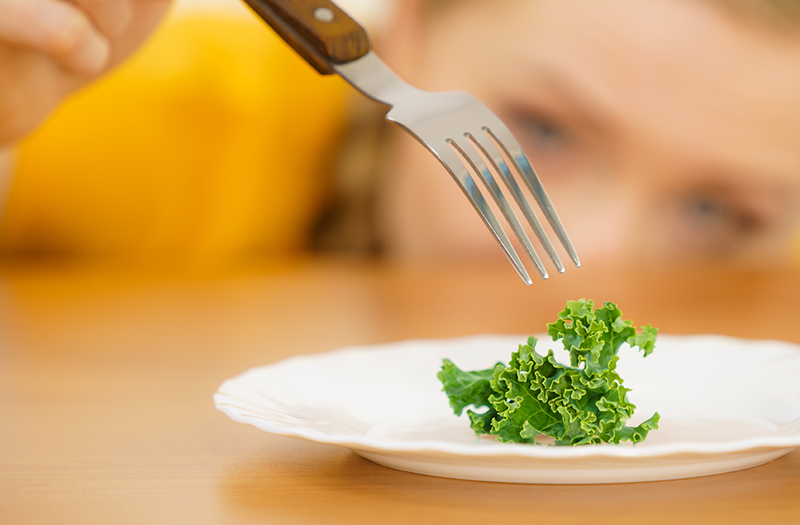 This can take the joy out of eating, cause extreme food cravings and be unsustainable. It can also pose a health risk, especially for children, teens, pregnant women or older adults, and becomes even more risky if followed for long periods of time or combined with long-term fasting and colon cleansing. If you are considering a detox or cleansing diet, check with your care provider first. If you're looking to enhance your health, why not try a more balanced, long-term approach? Be active every day. Eat a diet full of a variety of foods including fruits, vegetables, whole grains, dairy, and protein mostly from non-animal sources. Drink water when thirsty and limit processed foods, fast foods, alcohol and foods with added sugar. If you follow a diet like this, there is no need to detox or cleanse. 3) Avoid eggs: Many people fear eggs because they are high in cholesterol, which is believed to contribute to heart disease. But the truth is, while eggs do contain cholesterol, they don't actually increase bad cholesterol in the blood. On the contrary, eggs have been shown to help increase good blood cholesterol, which is linked to decreasing the risk of heart disease. Bottom line: Eggs are high in protein, healthy fats, vitamins, minerals and antioxidants. They are also easy to prepare and reasonably priced. Eating up to three whole eggs a day is fine. 4) Eat gluten-free to lose weight: Do you think eliminating gluten from your diet will help with weight loss? You aren't alone. A market research survey done in the United States shows that up to 30 per cent of adults said they want to cut down or be gluten-free. Unfortunately, cutting gluten isn't going to help you with your weight. Gluten is a protein found in many grains including wheat, rye, barley and oats. People who have celiac disease have an immune reaction to gluten that damages the intestines. Approximately one per cent of the population has celiac disease, so they must avoid the protein. For the rest of us, a gluten-free diet has no health benefits. In fact, people who avoid gluten may not be getting enough of the fibre, vitamins and minerals found in whole grains. Gluten-free products are often made with refined grains and are low in nutrients. 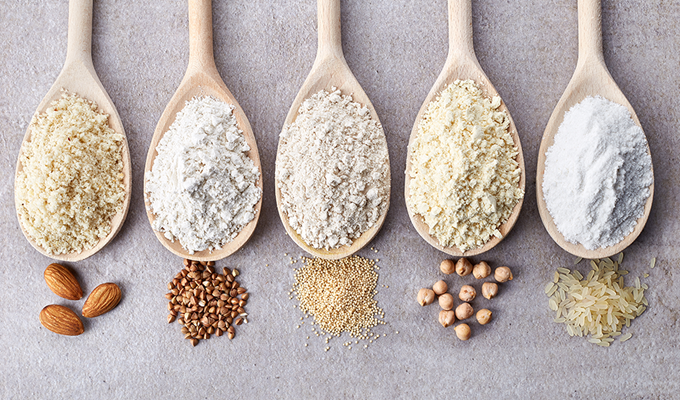 One observational study done in 2017 found that eating a low gluten diet increased the odds of developing Type 2 diabetes, probably because of low fibre intake. Some people who go gluten-free say they have lost weight and feel better. That's because in avoiding gluten, they have also cut out a lot of desserts and snacks. Anybody who removes cookies, donuts and desserts from their diet and replaces them with healthier choices such as fruits and vegetables is going to feel better and maybe lose weight. If you are going to go gluten-free, try using gluten-free grains like quinoa or buckwheat. Balance your diet by including fruits, vegetables, dairy products and some protein foods, mostly from non-animal sources. Bottom line: There is no magic in going gluten-free, unless you have celiac disease. It will not improve your health or increase weight loss. Keep in mind that gluten-free products are more expensive and can be higher in calories, sugar, fat and carbohydrates and lower in protein than products that have gluten. Make sure to read labels. 5) Eat a high-protein diet: First, it was the low-fat diet. Then there was the low-carb diet. Now it seems the high-protein diet is all the rage. The latest fad diet may have originated from low-carb diets such as Atkins and South Beach, which, in addition to being low in carbohydrates, are high in protein. High-protein diets are often associated with athletes who are trying to build muscle mass. But more recently, there have been suggestions that such a diet can also aid weight loss. 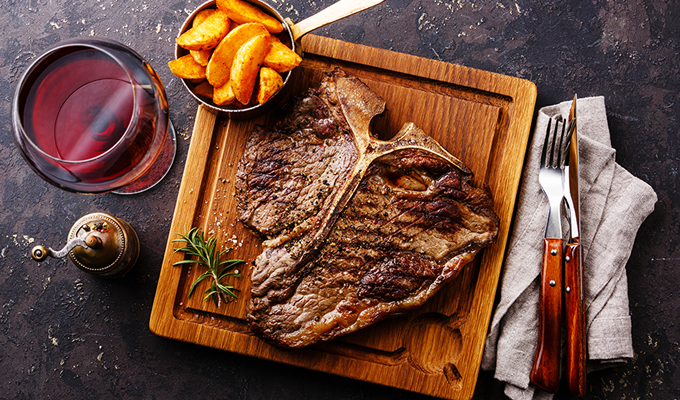 So, do you need a high-protein diet in your life? Probably not. Most adults get more than enough protein from their diet as it is. However, this changes with age. About 40 per cent of people age 65 or older don't get enough protein, and the percentage increases with advancing age. Vegetarians, too, wonder if they consume enough protein. They usually eat less protein than meat eaters, but still usually meet their needs, especially if they eat dairy and eggs. Beans, nuts, seeds and grains also provide protein. Protein does play a role in maintaining muscle. But the main key to gaining and preserving muscle is to stay active and do strength training. Being sedentary will cause weak muscles no matter how much protein is eaten. If you exercise regularly, you may need a bit of extra protein, but chances are you're already getting enough from your regular diet. Even weightlifters and endurance athletes get enough protein, mainly because they eat more food anyway. Remember, it is proper training that builds muscle, not extra protein. As far as weight loss is concerned, protein takes a long time to digest, so it can leave you feeling fuller for longer and, as a result, you might end up eating less. However, there is no evidence to show that a high-protein diet will result in weight loss. Bottom line: Most Canadians eat enough protein. But many older people don't get enough and should make an effort to eat more. If you do decide to increase protein intake, check with a health-care provider about your kidney health, because too much protein can stress the kidneys. As with anything, the key is not to go overboard. Simply choose lean sources of protein like eggs and lean meat, and those rich in healthy fats like fish, nuts and soy. This is a healthy way to eat for everybody. Avoid foods that claim to be protein-fortified since they are usually highly processed and of questionable nutritional value. Protein supplements and power bars are generally not necessary, but if you're older and lack appetite, high-protein meal replacements are an option. Looking for some credible nutrition information?